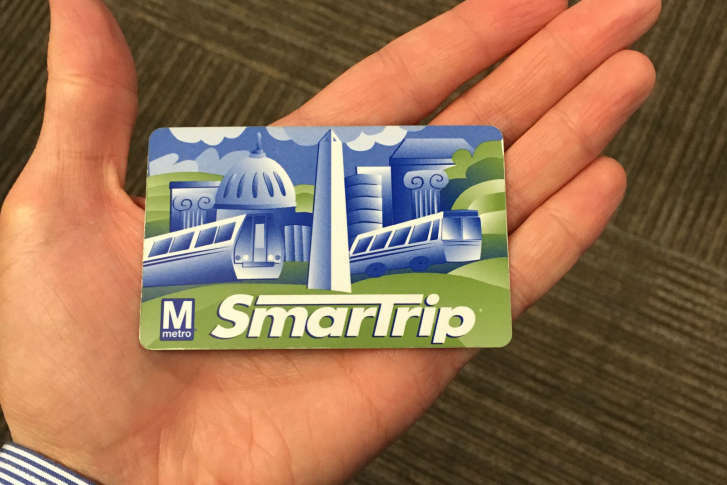 Metro will no longer allow riders to exit the rail system or board a bus if it would lead to their SmarTrip card having a negative value, Metro announced Friday. WASHINGTON — Metro will no longer allow riders to exit the rail system or board a bus if it would lead to their SmarTrip card having a negative value, Metro announced Friday. The change, to begin Jan. 8, means riders boarding a bus with $1.75 or less on their card will have to add value, or riders with less money on the card than the full cost of their rail fare will have to add cash at an Exitfare machine just before most fare gates. The Exitfare machines and bus fareboxes only accept cash and coins. Metro said outstanding negative balances on SmarTrip cards from the last 17 years total about $25 million. This is just the latest effort from Metro to show that it is scrounging for every possible cent as the agency’s supporters push for new dedicated tax funding. The rule will also block even riders with valid daily, weekly, monthly or school passes from riding the train or bus if they separately have a negative balance on the card. Fare issues on buses have been cited as a key driver of bus operator assaults. In 2013, Metro changed policies to restrict negative balances to $1.50 for rail riders. Separately Friday, Metro announced the expansion of the monthly pass known as a SelectPass. Users can pay for 18 days of round trips at any set price, which allows unlimited rail rides up to that price point. For any trips more expensive than that, riders are simply charged the difference.